Established in the year 1978, we, Numax Steels are a proficient & acclaimed enterprise involving in manufacturer, supplier,Stockist, importer and exporter of Industrial Alloy Steel Sheets, Plates & Coils to our domestic and global clients. 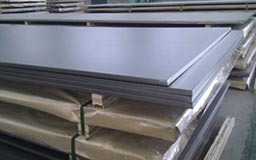 We always aim to provide high quality sheets & Plates at most competitive price, high on quality and durability. We test these Alloy Steel Sheets, plates & Coils at quality parameters to deliver precision dimensions and durable products. We offer these Alloy Steel products range in different technical specifications in terms of grades, sizes, and finishes. 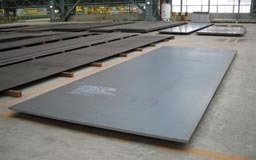 These Suplex Steel sheets, Plates & Coils are available in different sizes, thicknesses and other specifications as per clients requirements. ASTM A204 Gr. A & B, DIN 17175 Gr.15 Mo 3 & 16 Mo 3 with IBR Test Certificate. 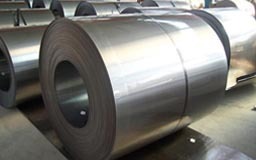 Form Coils, Foils, Shim Sheet, Rolls, Perforated Sheet, Chequered Plate. Alloy Steel Perforated Sheet, Alloy Chequered Plate, Alloy Steel Sheet, Alloy Steel Coils, Alloy Steel Foils Supplier & Exporter in India. UAE, Dar es Salaam, Harare, Maputo, Egypt, Mozambique, Sudan, Omdurman, Mogadishu, Algiers, Trinidad and Tobago, Bulawayo, Russia, Cameroon, Iraq, Conakry, Peru, Uganda, Abu Dhabi, Singapore, Kano, Bamako, Bahrain, Maiduguri, Cairo, Africa, Johannesburg, New York, Argentina, Lebanon, Brazzaville, Soweto, Port Harcourt, Lagos, Durban, Addis Ababa, Colombo, Ethiopa, Luanda, Nigeria, Douala, Democratic Republic of the Congo, Morocco, Ouagadougou, Germany, Chine, Dakar, Nairobi, Yaoundé, Accra, United States, Lubumbashi, Rabat, Canada, London, Zaria, Houston, Fez, Israel, Yemen, Khartoum, Tripoli, Indonesia, Thailand (Bangkok), Malaysia, Alexandria, Benin, Subra al-Haymah, Algeria, Qatar, Kazakhstan, Ibadan, Giza, Hong Kong, Angola, Freetown, Tunisia, UK, Brazil, Australia, Venezuela, Azerbaijan, Cape Town, Mbuji-Mayi, Kuwait, Kampala, Vietnam, Dubai, Antananarivo, Saudi Arabia, South Africa, Mexico, Kolwezi, Jordan, Cyprus, Pretoria, Ghana, Sri Lanka, Kinshasa, Port Elizabeth, Kaduna, Iran, New Zealand, Oman, Colombia, Italy, Turkey, Abidjan, Casablanca. India, Conakry, Pretoria, Bamako, Cape Town, Hyderabad, Karnataka, Cairo, Freetown, Miryalaguda, Pune, Fez, Antananarivo, Oman, Kinshasa, Colombo, Lucknow, Rabat, Thailand (Bangkok), Nagapattinam, Benin, Bulawayo, Mogadishu, Lagos, Jamalpur, Kampala, Ahmedabad, Khartoum, Ethiopa, Subra al-Haymah, Maiduguri, Brazzaville, Omdurman, Mizoram, Ouagadougou, Abidjan, Kaduna, Andhra Pradesh, Port Harcourt, Qatar, Kerala, Singapore, Tripoli, Benin, Uganda, Maputo, Russia, Abu Dhabi, Durban, Kolkata, Casablanca, Muktsar, Suryapet, Angola, Nairobi, Lubumbashi, Jaipur, Mbuji-Mayi, Bundi, Delhi, Bhiwadi, Sadar, Hong Kong, Ambala, Algiers, Ballia, Kano, Accra, Ibadan, Mozambique, Tripura, Lebanon, Betul, Cameroon, Port Elizabeth, Chennai, Johannesburg, Maharashtra, Ghana, Puducherry, Giza, Venezuela, Bangalore, Mumbai, Manipur, Alexandria, Jordan, Buxar, Yemen, Baraut, Douala, Harare, Bansberia, Algeria, Addis Ababa, Soweto, Udgir, Democratic Republic of the Congo, Dakar, Tadepalligudem, Kolwezi, Dar es Salaam, Zaria, Surat, Yaoundé, Luanda, Cyprus, Morocco, New York.